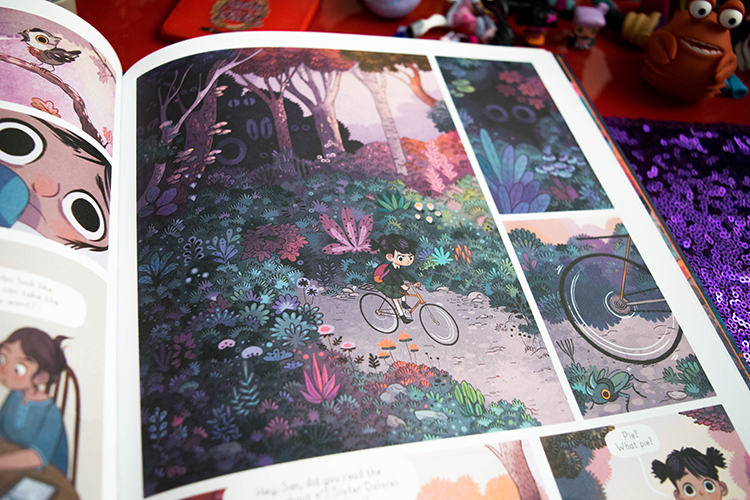 Nightlights is a Whimsically Eerie Graphic Novel | YAYOMG! 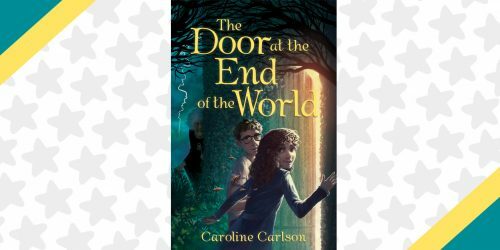 Looking for a read that combines a strange, haunting story with absolutely beautiful illustrations? Look no further! 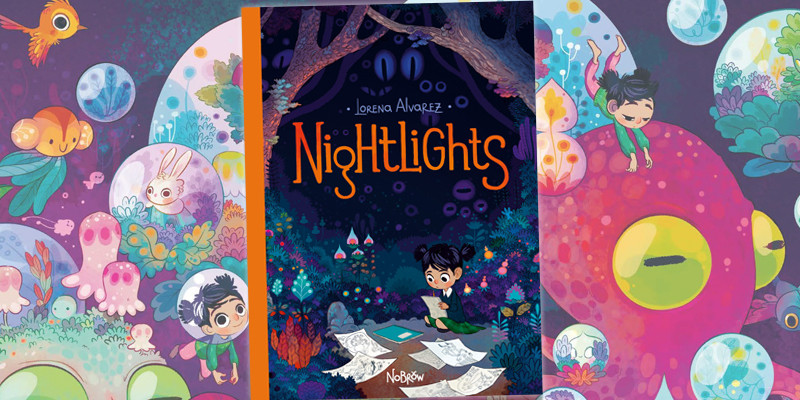 Nightlights is a brand new graphic novel written and illustrated by Lorena Alvarez that’s about to completely knock your socks off. 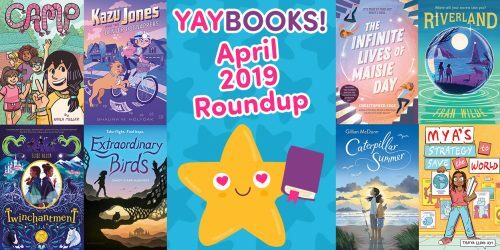 If you loved the eerie vibe you felt while reading Raina Telgemeier’s Ghosts, you’re definitely going to love Nightlights. Every night, tiny bubbles of light appear in Sandy’s bedroom. 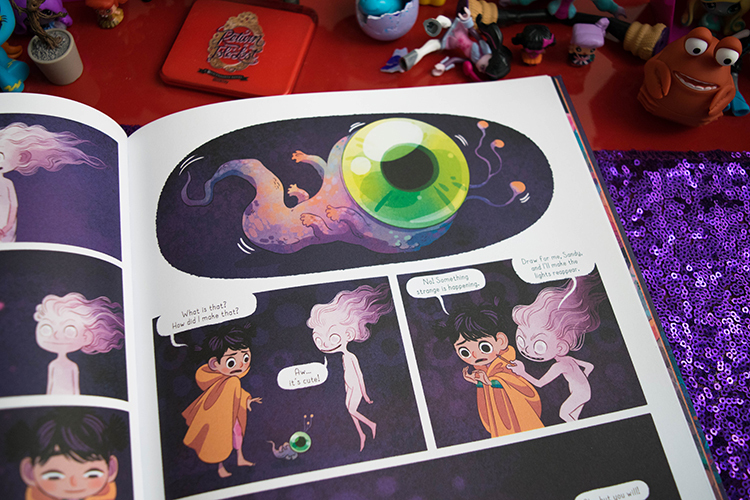 When she catches the lights, she’s able to create whimsical scenes and unique creatures to play with in her dreams. These creatures inspire her to keep drawing and exploring her talents in the real world, occasionally at the expense of her homework. When a mysterious new girl named Morfie shows up at Sandy’s school, they become instant besties. Morfie loves Sandy’s drawings and it’s the first time she ever feels truly appreciated. She’s so excited to draw for her new friend, but Morfie isn’t exactly who she seems. When a scary version of Morfie appears in Sandy’s dreams and starts to take over, she must find a way to stand up to her and break free. 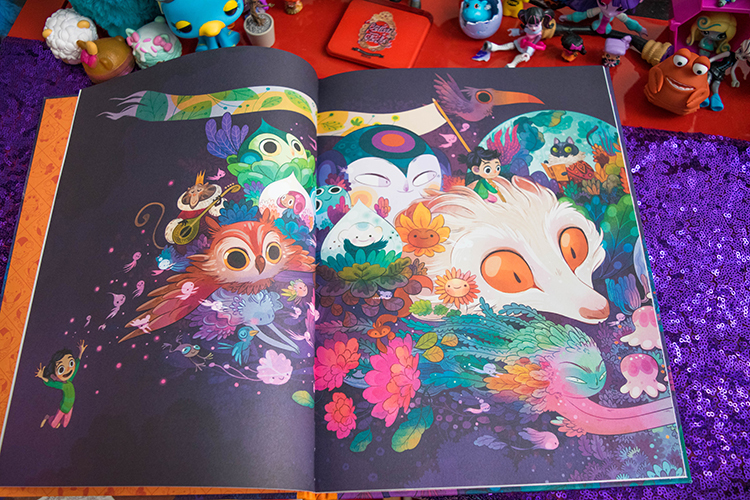 Despite the spooky, unsettling vibe of the story, every page of Nightlights is filled with adorable, vibrant illustrations. You’re going to want to rip out every page and wallpaper your room with them so you can stare at these amazing images forever. 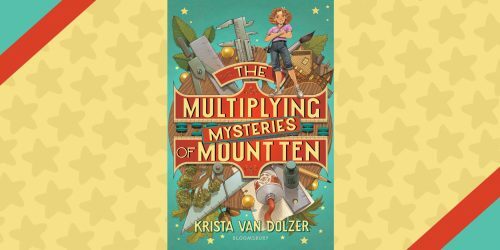 While the more fantastical elements may not be, Sandy’s school struggles and insecurities are totally relatable. We also think you’ll definitely have a new appreciation for math after reading this story! 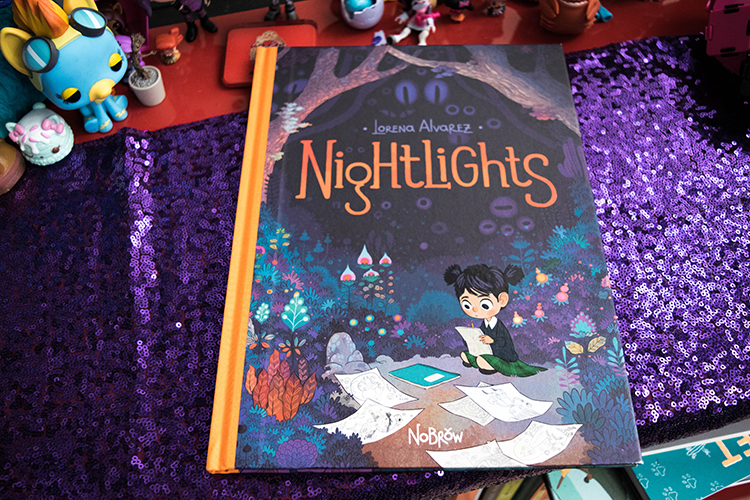 Nightlights encourages the reader to follow their passions, no matter what obstacles may stand in their way. Find inspiration in the world around you. Do what you love because you love to do it, a message we’re always trying to share with you guys. Playing YAYOMG Book Bingo? 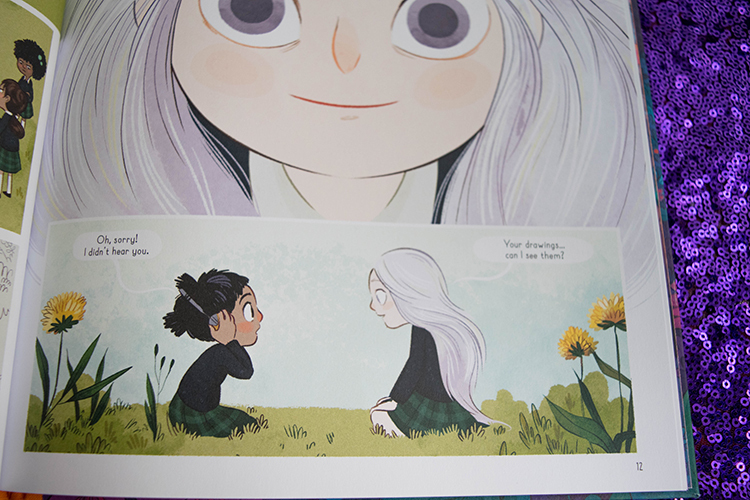 Use Nightlights to mark off your “Graphic Novel/Comic” square! 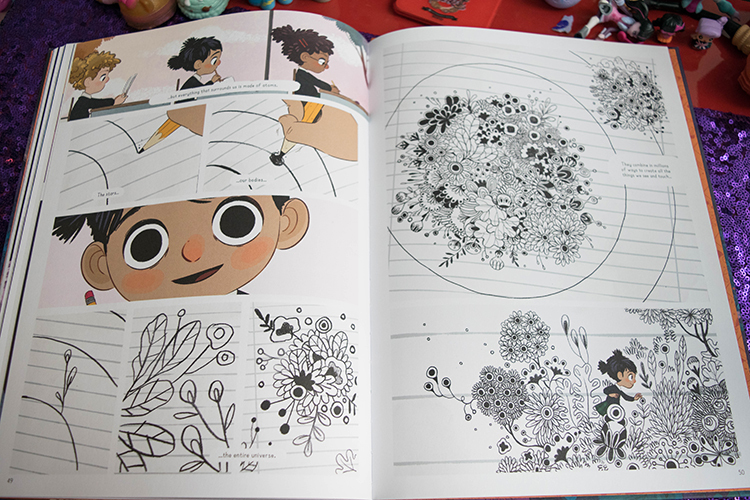 Thanks so much to our friends at Nobrow Press for sharing this wonderful book with us! We received a complimentary copy of the completed book in exchanged for a fair and honest review.